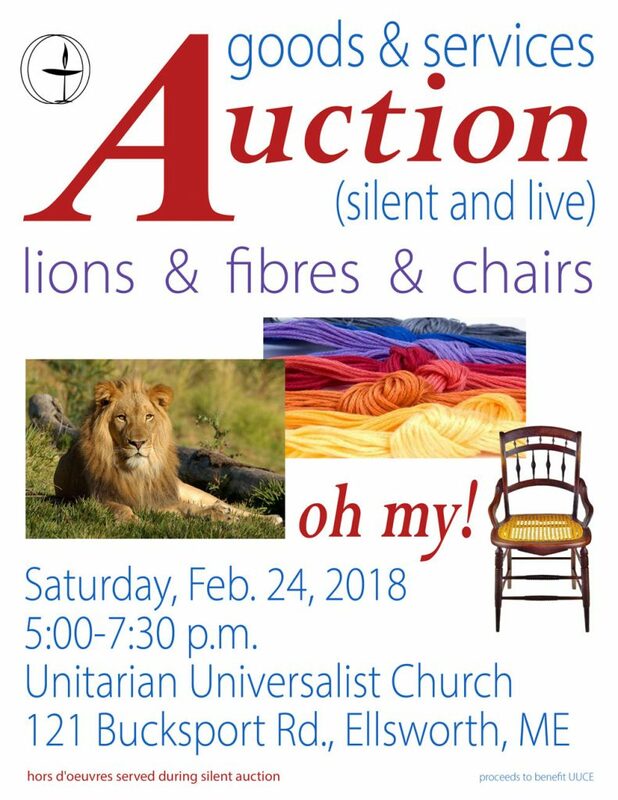 Are you interested in learning more about Unitarian Universalism? Do you have questions you’d like answered about the UU faith and this congregation in particular? Are you potentially interested in becoming a new member at UUCE? If you answered “YES” to any of these questions, please consider joining Rev. Sara and a several long time church members this class. Everyone is welcome. To register, call or email Alison, Church Administrator at office@uuellsworth.org or 667-4393. PASA (Peace and Social Action Committee) and Adult RE are planning a book group on Naomi Klein’s “This Changes Everything” which has some great ideas on how we can move forward with the challenge of climate change. She argues that unregulated capitalism will not allow meaningful action on the climate crisis we face. We plan to have three meetings on the book, so folks will have time to read it gradually or be able to participate even if they have to miss a meeting. We will probably start in late January and plan to announce it to the community at large. Several members of the Community Union want to attend. If you think you might be interested, please let us know soon when you would like to begin. You might be able to get the book at your local library – Ellsworth Library has a copy. In the meantime, 350.org and Citizens Climate Lobby Maine have a presence in Bangor. The next meeting of 350 Bangor is January 12 at 6:30 pm in Bangor, Panda Garden Restaurant. Some of us have talked about a 350 Ellsworth. Please contact Martha Dickinson, marthad@gwi.net, 667-5863, to sign up or for more information. Ellsworth Farmers’ Market Winter Schedule at UUCE is as follows: The Market will be held in the Community Room the first and third Saturday, January through April from 9:30 to 12:30.